CES hasn’t even really started yet, but already some prevailing themes of the show have begun to emerge — I’m talking about tech that helps tie together disparate systems in your home into a a single, mobile-friendly experience. LG has already shown off its vision, complete with NFC-enabled ovens and washing machines that send diagnostic information to your smartphone, but AT&T’s Digital Life takes things in a different direction. 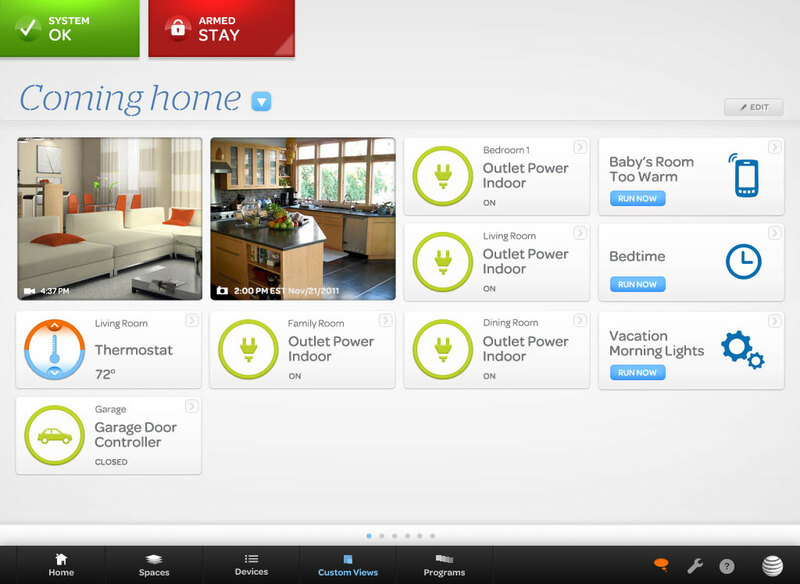 Put simply, Digital Life is equal parts home automation and security system, with users able to trick out their domiciles with cameras, appliance/lighting controls, door locks, and even thermostats. AT&T is gearing up to offer these devices in preset packages catered to people’s specific needs. A water package, for instance, is geared toward detecting moisture and controlling water flow should a leak be detected, while the energy package focuses mostly on remotely controlling lights and appliances. While the initial setup has to be performed by a third-party installer, users can later customize their own home load-outs by adding and subtracting components as needed. Sure it’s a slightly kooky move to see from a company that most people equate with phone service, but the biggest upshot here? Using the Digital Life system doesn’t actually require users to own an AT&T phone/contract or broadband plan. As Jon Fingas at Engadget notes, it’s a strictly “go-between” service. AT&T expects to roll out its Digital Life system to eight initial markets in March, with up to another 50 being prepped for launch by the end of the year.